Now that the weather is starting to heat up, for many seniors living around the country, it means it is about to get hot and sunny where they live. And while some sun and a healthy dose of vitamin D may be a huge welcome for many seniors, it doesn’t mean that there still aren’t some safety concerns regarding the sun—especially for elderly and older adults. 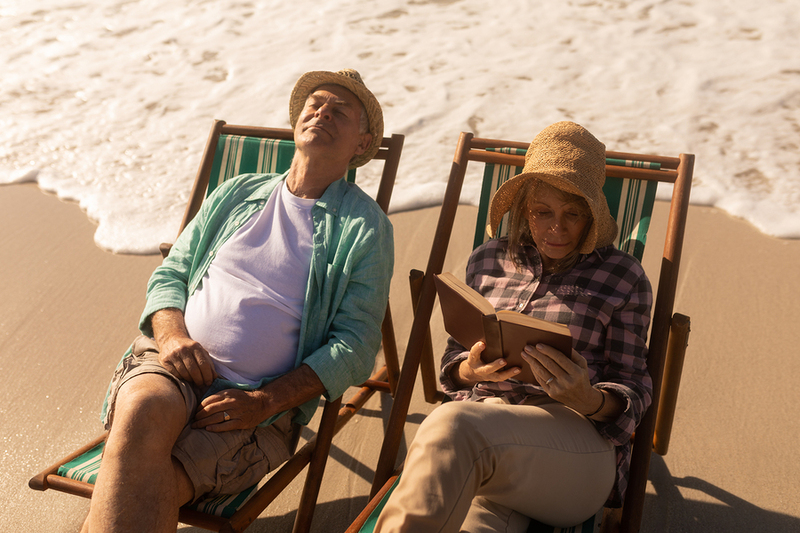 So, whether you are planning to spend some time outdoors, are a full-time beach bum in Florida or if you have some tropical vacations in your future—it is important to know some sun safety tips that will keep any senior well protected during this time of year. Always wear sunscreen. Even if you are someone with a darker skin tone that doesn’t burn easily—it is important to wear sunscreen…at all times. Even when it is isn’t hot out. Senior skin is thinner and more susceptible to burn and seniors are more susceptible to skin cancer as well. Protect the eyes. Seniors already have fragile eyes and need to be taking steps to maintain proper eye health. This not only means going in for regular appointments and screenings, but also means protecting the eyes from sun damage. Prolonged sun exposure can also cause the eyes to deteriorate at a faster rate. The best way to stay protected is with a pair of quality, polarized sunglasses. Stay hydrated. Even if you aren’t feeling particularly hot, sitting out in the sun can cause you to become dehydrated. This means drinking water (not sugary drinks) and avoiding alcohol and caffeine. Seniors are more susceptible to dehydration then younger adults and medications can also have an impact on a senior’s hydration as well. Check medication bottles. Seniors who are taking medications should be checking for warnings on the bottles of all of the meds. What many seniors don’t realize is that the efficacy of certain medications can actually be impacted by that user’s exposure to sunlight. Avoid peak hours- Being safe in the sun doesn’t mean staying indoors at all times. In addition to seeking shade as often as possible—seniors should also make sure that they are seeking shade or taking a break during the peak hours of sun. The sun tends to be at its hottest and brightest (and at its highest risk for causing damage) between the times of 10:00 AM to 2:00 PM. Know when your skin is about to burn. Even if you don’t feel hot, if your skin is starting to feel warm or looks pink or feels itchy or sensitive—then it is time to go inside and get out of the sun. While paying attention to heat is important for hot weather safety—knowing the signs of sunburn is equally important. Remember, even if it isn’t hot, sun exposure can actually do some damage, and seniors are even more susceptible to the sun than younger adults. Keep these tips in mind if you are looking for the best way to enjoy the sun—without being damaged by the sun.